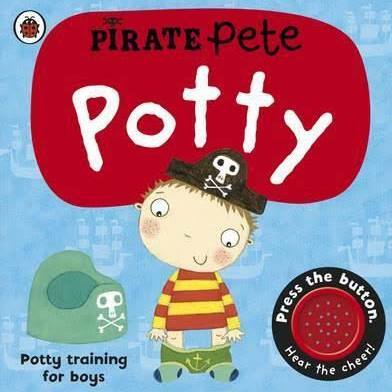 Pirate Pete's Potty is a fun book to share with toddlers who are ready to move on from nappies to the potty. With a clever interactive button to press to hear a cheer, you can show little ones what to expect when they wave goodbye to nappies and learn to use the potty. Charming illustrations and simple, reassuring text are perfect for introducing potty training in a fun way.